Chiropractic was founded in 1895 after the hearing was restored in a patient following a spinal adjustment to the upper region of the spine. Since then, our profession has been conducting research to help determine why spinal manipulation or adjustments work so well. Many conditions have been studied, as well as the physiological responses to the adjustment including blood chemistry changes including hormone levels, blood pressure changes, circulation changes, and many other parameters of health. Posture, bone alignment and spinal curves have been long been evaluated in patients presenting with muscle and joint complaints by most of the health care professions, including chiropractic. But the question remains: how important are spinal curves in the overall health picture of the patient? Can alterations in the “normal” curve lead to future trouble or, be the cause of a current condition? A recent study reported the results after conducting a “systematic critical literature review” where all research published on this subject was reviewed for quality and content. They gathered 54 studies published between 1942 and 2008, which included over 20,000 patients and reported the association between the sagittal curve (curves when looking at a person from the side) and various health conditions. There were many different types of studies and methods used to evaluate the sagittal curves of the lumbar (low back) (38 studies), thoracic (mid back) (34 studies) and cervical (neck) (6 studies) spine. These methods included plain x-ray (25 studies), MRI (1 study), photographs (3 studies) visual analysis or, by the eye (5 studies) and those using a variety of instruments (21 studies). A strong association was reported in five studies with an increased angle in the midback/thoracic spine (kyphosis – sometimes referred to as “humpback”) with lung disorders causing breathing problems. Poor physical function and pelvic organ prolapse were also strongly associated with kyphosis. A moderate association was found when the low back curve (lordosis) was reduced, which was associated with an increase in low back pain. Similarly, future osteoporotic midback/thoracic compression fractures were moderately associated with kyphosis or “humpback” deformity. Kyphosis was also moderately associated with heavy household activity, uterine prolapsed and death in three other studies. No association was found in many studies. The conclusion of the article reports most of the studies did not fulfill the basic requirements for this type of study or had design flaws. They encouraged researchers to use new/better approaches to study this association between spinal curves and health and disease. Mechanical neck pain affects an estimated 70% of people at some point in their lives. Many different treatment approaches are available for neck pain, making it very difficult for those suffering from neck pain to know which treatment approach(es) to choose. Research in this topic has revealed some very interesting information that places chiropractic and spinal manipulation in a VERY STRONG POSITION – in fact, at the TOP OF THE HEAP! Regarding chronic neck pain patients (that means pain that has been present for greater than 3 months), this study evaluated the changes that occurred in 191 patients. These patients were randomized to 11 weeks of 1 of 3 treatment groups and evaluated at 3, 6, 12, & 24 months after treatment. The 3 treatment options included: 1. Spinal manipulative therapy (SMT) only, 2. SMT with low-tech neck exercises, or, 3. A form of exercise using a MedX rehab machine. The results support the highest level of patient satisfaction was found in the 2nd group (SMT with low-tech exercise), suggesting that when patients present for treatment, spinal manipulation with low-tech exercises results in the most satisfied patient. These findings are important as this study evaluated the LONG-TERM benefits in patients who have had neck pain for a long time (i.e., “chronic”), where most studies only look at the short-term benefits. Similar conclusions were reported from perhaps the largest scale study on neck pain based on research from 1980 to 2006 on the use, effectiveness and safety of noninvasive treatment approaches for neck pain and associated disorders. Their review of over 350 articles supported manual therapy (manipulation and mobilization) and supervised exercise to again, SHINE in their conclusions. What is important is that ALL these studies support what chiropractors do: manipulate the neck and give supervised exercises! So, what are you waiting for? SPREAD THE WORD to everyone that you know who has neck pain – CHIROPRACTIC MAY BE THE BEST CHOICE!!! With the debate raging on about health care reform, a pilot study indicating chiropractic care and other physical medicine approaches may reduce costs is VERY TIMELY! In 2008, Wellmark Blue Cross and Blue Shield conducted a 1-year pilot program designed to study the quality of patient care. The researchers concluded that the use of chiropractic and other physical medicine services significantly improved clinical outcomes and reduced health care costs. The 2008 Iowa and South Dakota pilot study included 238 chiropractors, physical therapists and occupational therapists that provided care to 5500 Wellmark patients with musculoskeletal disorders. They reported 89% of all patients receiving physical medicine services improved at least 30% within 30 days. These statistics were so impressive that they decided to continue the program. Supporters of chiropractic treatment praised the findings, saying that the cost-effectiveness of the method has been documented in several studies. At a time where patients are constantly being forced to go to different health care providers each year due to their prior doctor “…not being on the list,” are patients truly satisfied with the care/treatment they receive? 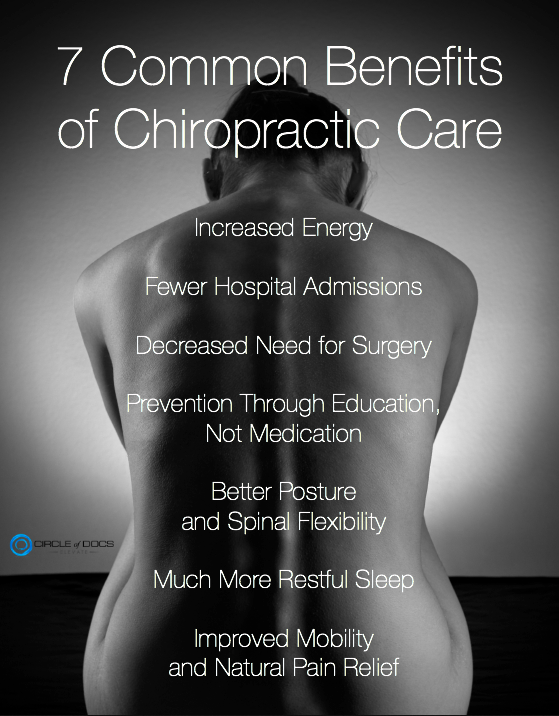 If so, what exactly are the reasons and factors that drive patient satisfaction with Chiropractic? The process of measuring patient satisfaction can be viewed from several different angles. One study looked at the improvement of the patient’s condition and only 57% of the satisfaction score was based on improvement. Because the concept of measuring satisfaction is multifactorial, more important methods of measuring patient satisfaction had to be considered. A recent study did just this – they measured parameters that included pain, disability (activity tolerance), satisfaction with information received, effectiveness of care, caring, and quality of care. The information was obtained by two different interviewers with similar information received regardless if it was the doctor or a third party. THE RESULTS SHOWED ALL PATIENTS REPORTED HIGH LEVELS OF SATISFACTION AND THOUGH THE CLINICAL OUTCOMES REGARDING PAIN AND DISABILITY WERE MOST IMPORTANT, THE INFORMATION RECEIVED THAT HELPED PATIENTS UNDERSTAND WHAT WAS WRONG WITH THEM, AND, WHAT COULD BE DONE (BY BOTH DOCTOR AND PATIENT) TO SPEED RECOVERY AND PREVENT FUTURE EPISODES WERE VERY IMPORTANT FACTORS IN THE OVERALL SATISFACTION SCORE. Patients also wanted timely information so they were kept up-to-date with what was being done at various points in time during care. The information had to be understandable and informative and explained in “layman’s terms” so that they “learned something” from the information received. Does the doctor believe what the patient tells them? Does the doctor understand the patient’s concerns? Was the doctor comfortable dealing with the patient’s pain? Was the doctor concerned about the patient after they left the office? The information gathered included treatment, doctor confidence, and prognosis (how long it might take to get better). Also, effectiveness was further divided into listening, knowledge, experience, and the use of an active management approach. The conclusion of the study emphasizes the importance of using a mixed-method approach when examining patient satisfaction. This includes quantitative “scores” from questionnaires as well as qualitative information about the encounter including information, caring, and effectiveness. Many people seem surprised to find out that the chiropractic education process is so extensive. Hence, depending on the area of interest a person has in the health care industry, it takes a similar amount of time to complete the educational program. The initial step is completing a typical “pre-med” undergraduate or college degree. Courses including biology, inorganic and organic chemistry, physics, psychology, various science labs, as well as all the liberal art requirements needed to graduate are included in the undergraduate education process. Once entering a chiropractic university, the same format exists as most health care disciplines. The basic sciences are covered in the first half of the educational process after which time successful completion of the National Boards Part I examination is required to move into the second half – the clinical sciences. From there, internships, residency programs, preceptorship programs become available to the chiropractic student. Once graduated, residence programs including (but not limited to) orthopedics, neurology, pediatrics, radiology, sports medicine, rehabilitation, internal medicine, and others are options. Many various Masters and doctorate programs in specialty areas are also available. The following chart shows the similarities between three health care delivery approaches, DC, MD, and DPT (doctor of physiotherapy). *Does not include hours attributed to post-graduation residency programs. AS YOU CAN SEE, THE ACTUAL NUMBER OF AVERAGE CLASSROOM AND CLINICAL STUDY HOURS PRIOR TO GRADUATION IS EVEN HIGHER FOR CHIROPRACTIC COMPARED TO THE MD AND DPT CURRICULUM. It should be noted that this does not include additional educational training associated with residency programs, which are available in the three disciplines compared here. At one of the chiropractic colleges, the academic core program or Clinical Practice Curriculum consists of 308 credit hours of course study and includes 4,620 contact hours of lecture, laboratory and clinical education. There are 10 trimesters of education arranged in a prerequisite sequence. The degree of Doctor of Chiropractic (D.C.) is awarded upon successful completion of the required course of study. In order to receive a degree, a student must have satisfied all academic and clinical requirements and must have earned no less than the final 25 percent of the total credits required for the D.C. degree, allowing up to 75 percent of the total credits through advanced standing. The academic program may be completed in three and one-third calendar years of continuous residency. Graduation, however, is contingent upon completion of the program in accordance with the standards of the College, which meet or exceed those of its accrediting agencies. In addition to courses included in the core curriculum, a variety of procedure electives are available to the students. 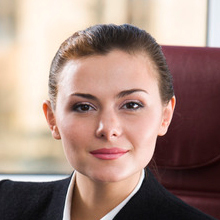 These electives are designed to complement the study of adjustive procedures included and facilitate investigation of specialized techniques. 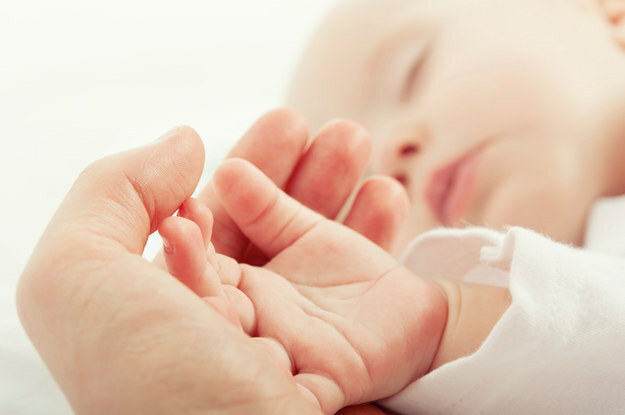 As a doctor of chiropractic, we are committed to providing the highest quality care available to our patients. We coordinate care with other doctors when appropriate in quest of reaching the goal of our helping our patients in the most efficient, economic, and evidence-based approach possible. This scenario may sound familiar to many people. The choice of health care provision is a personal one, often influenced by those around you – family, friends, teachers, and more! It seems like everyone is an “expert” with different opinions and their advice, often conflicting, can lead to confusion about what is best for you. There are many ways to approach back trouble, regardless of the diagnosis or condition. First, all health care providers are biased in that they naturally focus on their specialty. If you choose to consult with a surgeon, s/he will look at your condition from a surgical perspective. Various surgical options may be discussed, tests are usually recommended and the process begins. When consulting with a family physician, the typical approach is pharmaceutical or drugs such as anti-inflammatory medications (Advil, Nuprin, Ibuprofen, Aspirin, Aleve, Tylenol, etc. ), heat or ice, activity modifications (possibly rest or mild/moderate activity), and possibly referral for chiropractic or physical therapy. In reviewing the various guidelines, it is recommended to start with the least invasive, safest, most cost effective approaches first. Unless “red flags” like cancer, fracture, infection or progressive severe neurological losses are present, surgery is not a logical initial approach. Chiropractic has been recommended as a first or initial choice as it has been found to be safe, highly satisfying, non-invasive, and cost effective. The typical approach includes a thorough history, an examination that includes an analysis of posture, motion, function and includes the whole body. For example, if one leg is short, the pelvis will tilt and spine is often crooked. That needs to be corrected for both long and short term results. If the feet pronate and the arches are flat, the effects on gait/walking on the ankle, knee, hip and back can lead to trouble or perpetuate current problems. Deconditioning or, being out of shape is an important aspect included in the chiropractic management process. If these methods fail to bring about satisfying results, referral for more invasive approaches will be considered.